Supply has outweighed demand for eggs in Plateau state and the people are rejoicing. A crate of eggs now costs 700 Naira. One egg costs about 50 Naira in Lagos and it is quick becoming a luxury. However, poultry farmers in Plateau state have so much eggs on their farms, they are afraid. They are so scared that the excess may cause a temporary suspension in production to avoid a collapse of poultry sector in the State. As a result, the Poultry Association of Nigeria, PAN, appealed to the State Government to intervene and mop up the surplus. 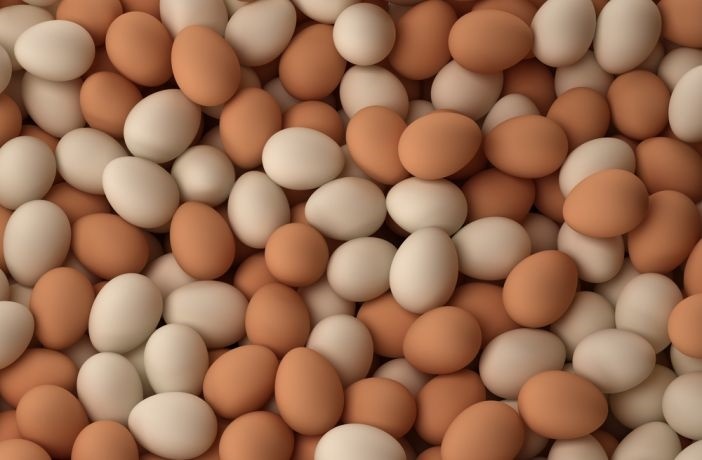 The Chairman of the association, John Dasar, told the News Agency of Nigeria, NAN on Monday in Jos, that the price of egg had been on a steady decline. While one there is a consistent decrease in price of eggs, the price of chicken feeds had been on the rise, making poultry farming unprofitable. “It is only Plateau that a crate of egg goes for 700 Naira, while a bag of chicken feeds as at today goes for 3,700 Naira, making the poultry business largely unprofitable. “So, we are pleading with government to help mop these eggs to help our farmers bounce back to business,’’ he said. Dasar noted that the state stands the risk of losing huge revenues if the glut continues. He adds that most farms would be forced to close, thereby increasing the rate of unemployment.